The Balearic islands are made up of four main islands that rest in the Mediterranean sea. Each one is famous for its scenery, hot temperatures and seaside attractions. In the peak summer months you can catch one of the many varied events, from Flamenco Festivals and world food markets to world famous DJ appearances. 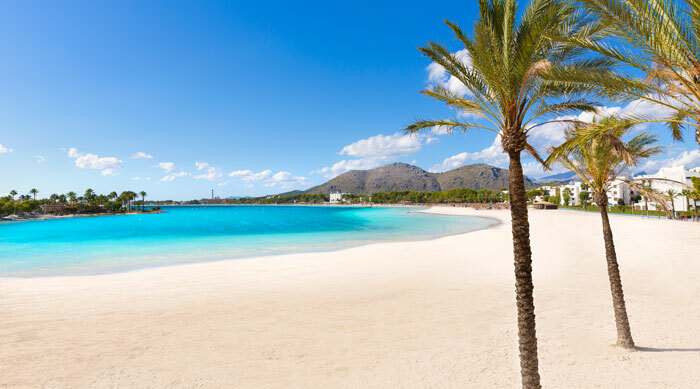 Majorca is the Balearic's biggest island and has always been a family favourite thanks to its many bustling beaches, excellent children's facilities and it takes less than three hours to get there. Across its resorts are accommodation facilities that feature children's clubs and on site bars and restaurants that make it perfect for those who choose an all inclusive holiday. Majorca is also home to the party resort of Magaluf that has become grown in popularity with young people due to its endless strips of nightclubs. There is also a huge variety of places to eat out here, and many activities including water parks, diving schools and safari rides! Compare holiday deals to Majorca. 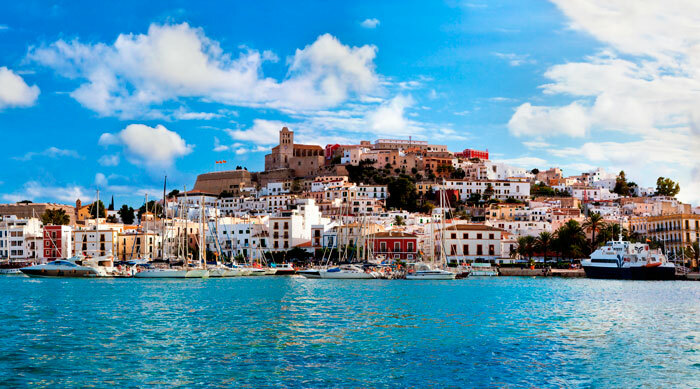 The historical gem of Ibiza is known for being the ultimate party destination, especially in San Antonio Bay, the hub of nightclubs and bars. 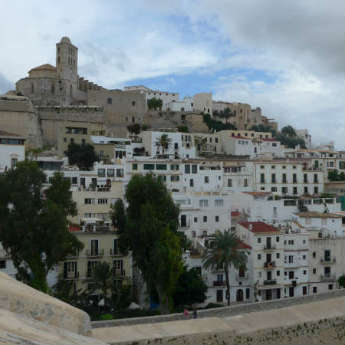 But there is more to Ibiza than meets the eye. Thousands of romantic breaks and family holidays are taken out here each year due some of the most picturesque beaches in Spain. Playa De'n Bossa is home to the longest beach on the island and offers an extremely laid back atmosphere and chilled out bars. Holiday makers also take advantage of Santa Eulalia, Cala Taida and Es Canar where Spanish tapas and wine is always on tap. Find your perfect holiday to Ibiza. A package holiday to Menorca is guaranteed to show you a real good time and will leave you in awe after experiencing its natural beauty. 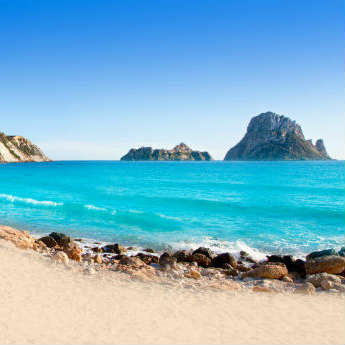 The beaches are well maintained and although the island is often mistaken as Majorca, it's actually a lot more low key and is ideal for keep solo travellers and couples. The mixture of countryside and sea means that there's plenty to do outdoors. 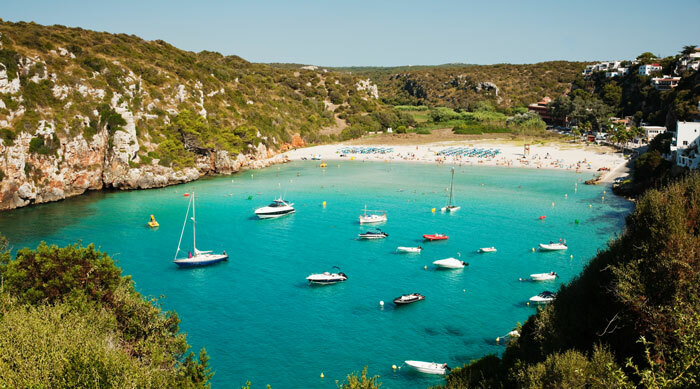 Visit Menorca’s most loved beaches Cala Pregonda and Playa De Binigaus which are both great for swimming and enjoying the peaceful space they offer. Search and compare Menorca holidays. 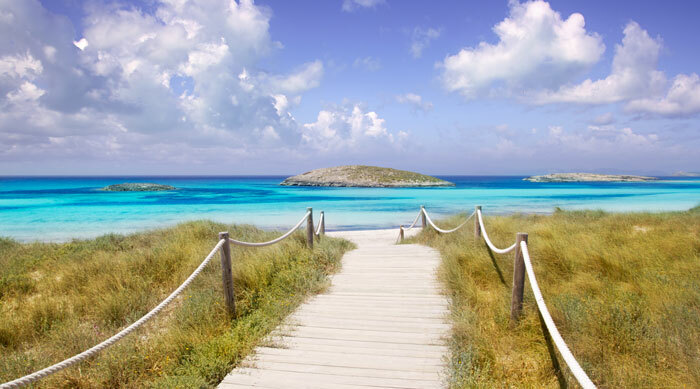 Formentera is the smallest of the Balearic islands, and can be reached only by ferry from Ibiza. It is known for being low key yet picturesque. A getaway here offers a great sense of tranquillity and is the ultimate place to unwind as a couple or solo traveller. It's the perfect place to hire out a bike or scooter so that you're able to discover each one of its clear rocky beaches and bays where there's always boar rides out to neighbouring villages available. Visit the wonderful lighthouse on the island and take in the specialty museums and hidden cathedrals. Search for your Formentera holiday.